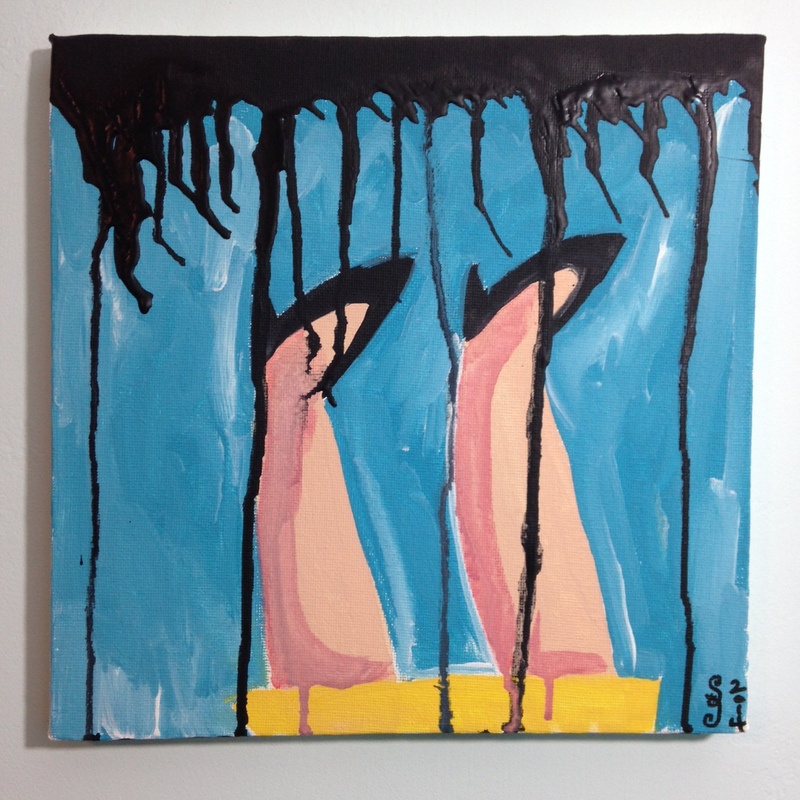 Georg Baselitz (born 23 January 1938) is a German painter. He studied in East Germany, before moving to what was then West Germany. 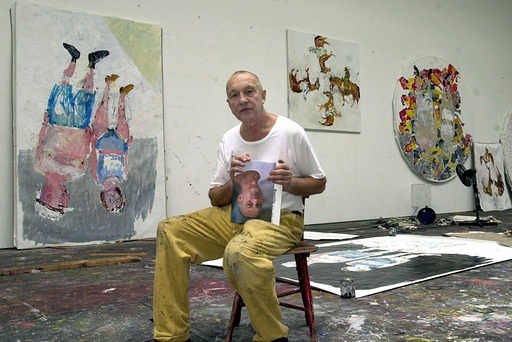 Baselitz’s style is interpreted by the Northern American critics as Neo-Expressionist, but from a European perspective, it is more seen as postmodern. His career was boosted in the 1960s after police took action against one of his paintings, (Die große Nacht im Eimer), because of its provocative, offending sexual nature. He is currently a professor at the Hochschule der Künste art academy in Berlin. Kamenz, Saxony), in what was later to be East Germany. His father was an elementary-school teacher and the family lived in the local schoolhouse. Baselitz first encountered art in albums of nineteenth-century pencil drawings in the school library. He also assisted nature photographer Helmut Drechsler on occasional ornithological shoots. In his early life, his family moved to the county town of Kamenz. Baselitz attended the local school, in the assembly hall of which hangs a reproduction of the 1859 paintingWermsdorfer Wald by Louis-Ferdinand von Rayski, an artist whose grasp of realism was a formative influence. He read the writings of Jakob Böhme. At the ages of 14 and 15, he painted portraits, religious subjects, still lifes and landscapes, some in a futuristic style. In 1955, he applied to study at the Kunstakademie in Dresden but was rejected. In 1956, he passed the entrance exam to study forestry at the Forstschule in Taranth and successfully applied to study at the Hochschule für bildende und angewandte Kunst in East Berlin. He studied painting under professors Walter Womacka and Herbert Behrens-Hangler, and befriended Peter Graf and Ralf Winkler (later known as A. R. Penck). After two semesters, he was expelled for “sociopolitical immaturity.” The next year he successfully applied for a place at West Berlin’s Hochschule der Künste and continued his studies in Professor Hann Trier’s class, a creative environment largely dominated by the gestural abstraction of Tachism and Art Informel, affecting a certain orientation towards Paris amongst both staff and students. Georg Baselitz’s Elke 1965 – You can see here how big this painting is! Malevich. During this time he became friends withEugen Schönebeck and Benjamin Katz. Andreas Franzke gives his primary artistic influences at this time as Jackson Pollock and Philip Guston. Conversely, he argues that Baselitz found the work of Barnett Newman inaccessible, as well as that of Mark Rothko. In 1958, after moving from East Berlin to West Berlin, Baselitz met his future wife, Elke Kretzschmar. 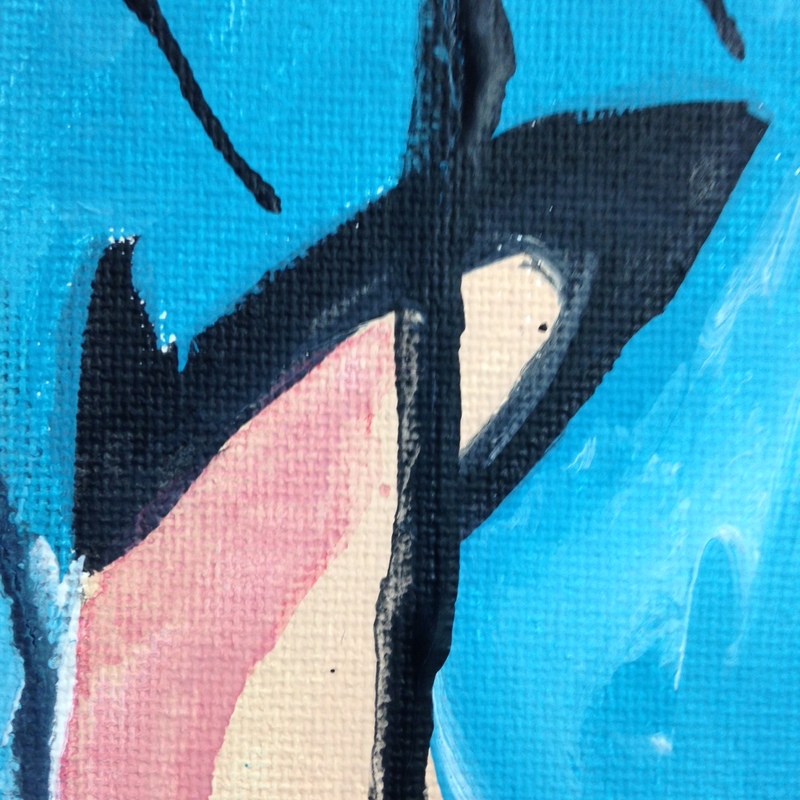 He also produced his first original works in a distinct style of his own, among them the imaginary portraits “Uncle Bernhard”/ “Onkel Bernhard.” In the same year, he started work on the “Rayski-Head”/ “Rayski-Kopf” series. In 1961, he adopted the name Georg Baselitz in a tribute to his home town. In the same year, he is admitted to the Hann Trier master class. In 1962, he married Elke Kretzschmar and they had a son named Daniel. He also completed his studies at the Akademie. 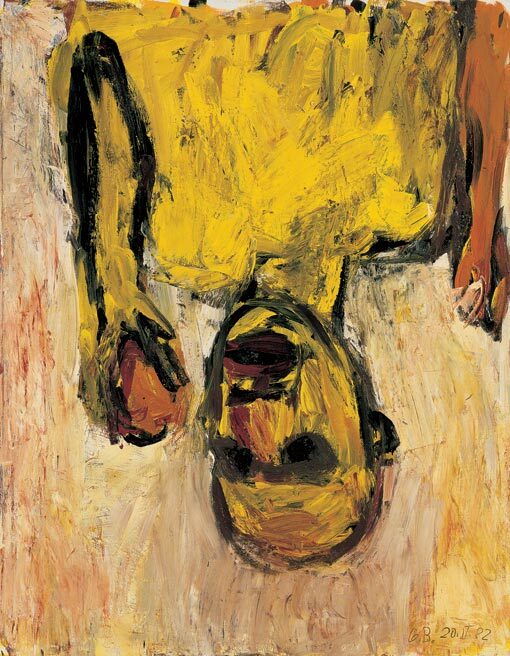 In 1963, Baselitz’s first solo exhibition at Galerie Werner & Katz, Berlin, caused a public scandal. Two of the pictures, “The Big Night Down The Drain”/ “Die große Nacht im Eimer” (1962/63) and the “Naked Man”/ “Nackter Mann” (1962), are seized by the public prosecutor. The ensuing court case did not end until 1965. 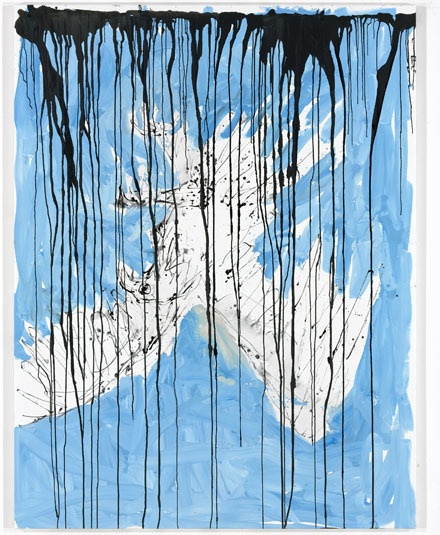 In the 1970s, Baselitz exhibited regularly at Munich’s Galerie Heiner Friedrich. Most of the works he produced during this time were landscapes themed as pictures-within-a-picture. 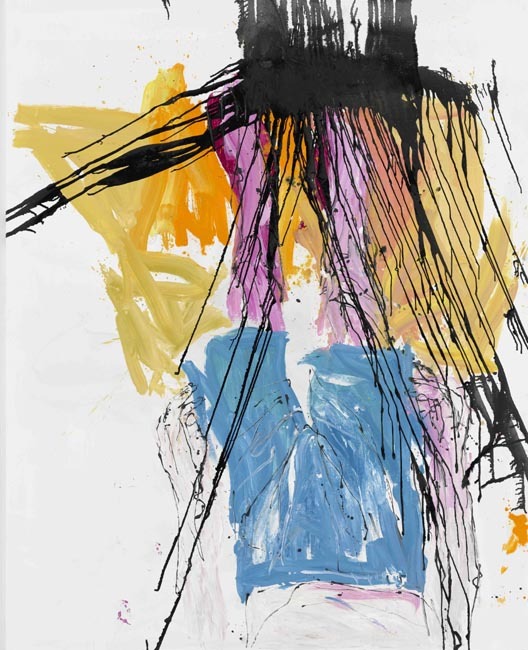 In 1970, at the Kunstmuseum Basel, Dieter Koepplin staged the first retrospective of drawings and graphic works by Baselitz. At the Galeriehaus in Cologne’s Lindenstraße, Franz Dahlem puts on the first exhibition of pictures with upside-down motifs. In 1971, the Baselitz family once again moved, relocating to Forst an der Weinstraße. Georg used the old village school as studio and started painting pictures featuring bird motifs. He exhibited several times in the next few years around Germany. He also participated in the 1972 documenta 5 in Kassel. This same year he began using a fingerpainting technique. He then began painting landscapes until 1975, chiefly based on motifs from around Deutschbaselitz. In 1975, the family moved to Derneburg, near Hildesheim. 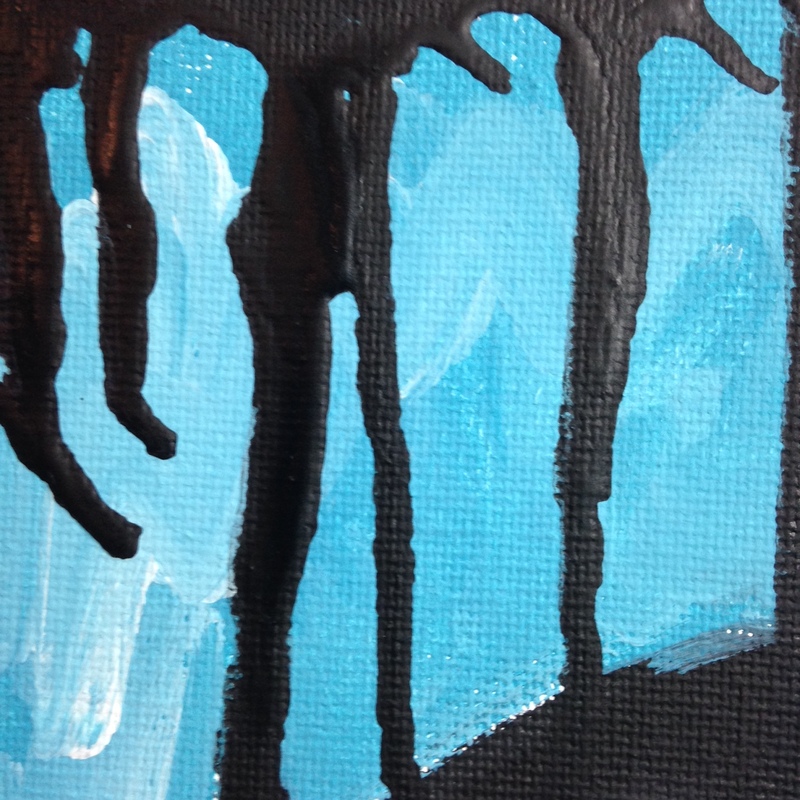 Baselitz visited New York for the first time and worked there for two weeks. He also visited Brazil, participating in the 13th Biennale in São Paulo. began teaching at the Staatliche Akademie der Bildenden Künste in Karlsruhe, where he is appointed professor in 1978. From 1978 until 1980, he worked on diptychs using the tempera painting technique (combinations of motifs), multipart pictures (series of motifs), and large-format individual works such as “The Corn Gleaner”/ “Die Ährenleserin,” “Woman Clearing Away Rubble”/ “Trümmerfrau,” “Eagle”/ “Adler” and “Boy Reading”/ “Der lesende Knabe.” The works become more abstract, with scriptural elements predominating. In 1980, he showed his first sculpture at the Venice Biennale. In 1981, Baselitz set up an addition study in Castiglione Florentino, near Arezzo, which he uses until 1987. His work is exhibited in New York for the first time in 1981. By 1982, he began devoting more time to sculpture, in addition to several exhibitions. In 1983, he began using Christian motifs in much of his artwork, and completed the major composition “Dinner in Dresden”/ “Nachtessen in Dresden”. In the same year, he took up a new professorship at the Hochschule der Künste Berlin. In 1986, in recognition of Baselitz’s achievements, he was awarded the Kaiserring by the city of Goslar. 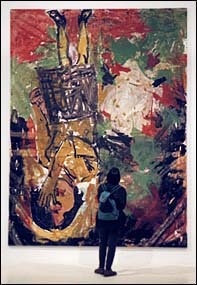 Through the 1980s, Baselitz’s work is exhibited frequently in Germany. In 1989, the title Chevalier dans l’Ordre des Arts et des Lettres was conferred upon Baselitz by French Minister of Arts Jack Lang. 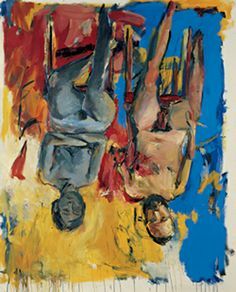 In 1990, at the Nationalgalerie im Alten Museum in Berlin, the first major exhibition of Baselitz’s works in East Germany was staged. In 1992, he resigned from the Akademie der Künste in Berlin. In 1993, he designed the set for Harrison Birtwistle’s opera “Punch and Judy,” staged under the direction of Pierre Audi at the Dutch Opera in Amsterdam. He also took part in the International Pavilion at the Venice Biennale with the “Male Torso”/ “Männlicher Torso” sculpture, accompanied by oversized drawings. In 1994, Baselitz designed a stamp for the French postal service. He also produced his first ground gold picture that year. In 1995, the first major retrospective of Baselitz’s work in the US is staged at the Guggenheim in New York City. This retrospective is also exhibited in Washington, D.C. and Los Angeles. 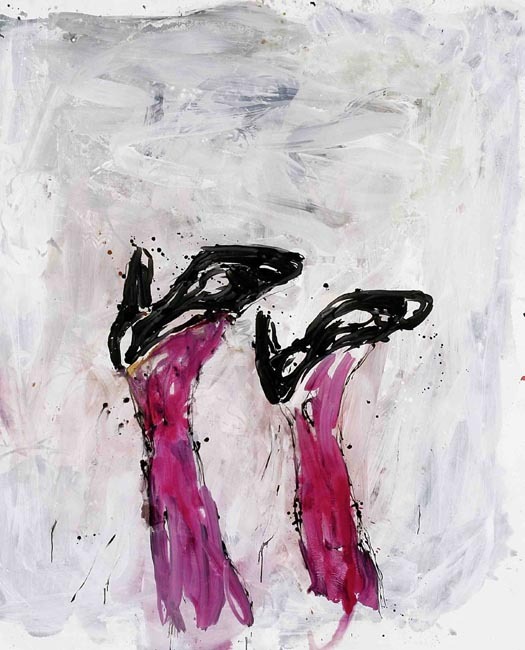 Throughout the 1990s, his work was exhibited frequently throughout Europe.In 2002,retrospective of Baselitz’s work in Art Gallery of Yapı Kredi Bank in [Istanbul]. 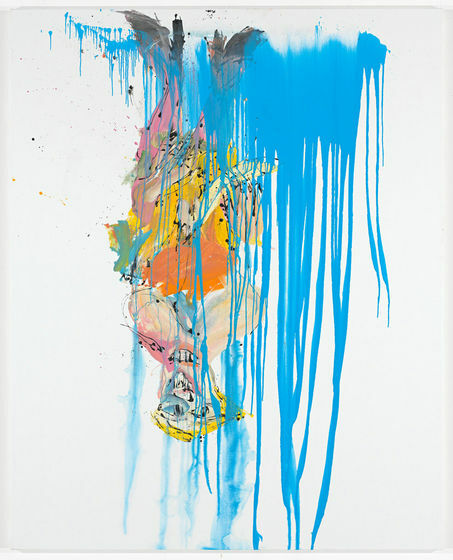 In the 1970s, Baselitz was part of a group of Neo-Expressionist German artists, occasionally identified as “Neue Wilden,” focusing on deformation, the power of subject and the vibrancy of the colors. 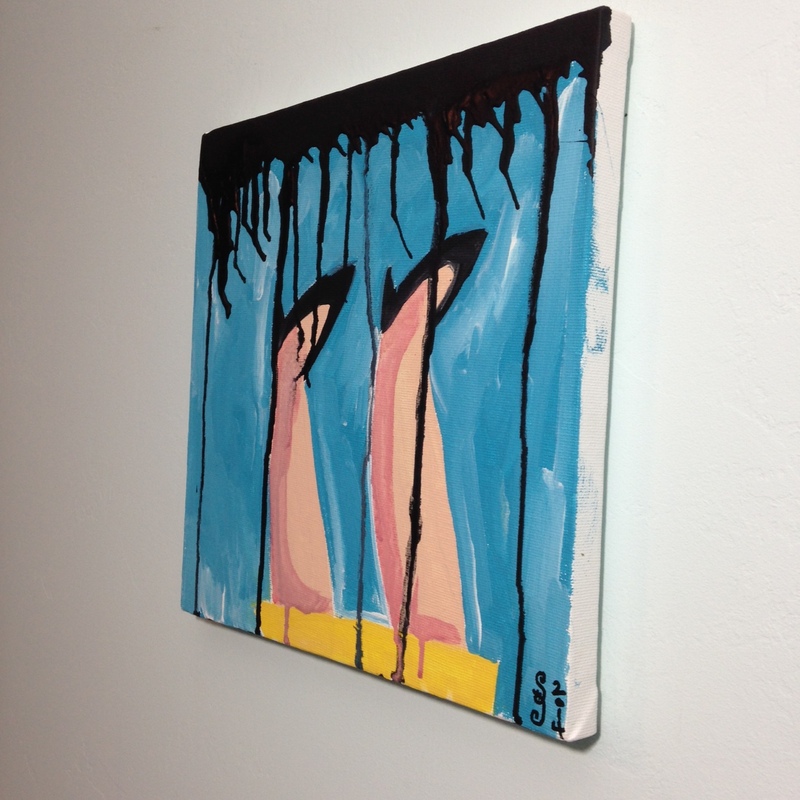 He became famous for his upside-down images. He is seen as a revolutionary painter as he draws the viewer’s attention to his works by making them think and sparking their interest. 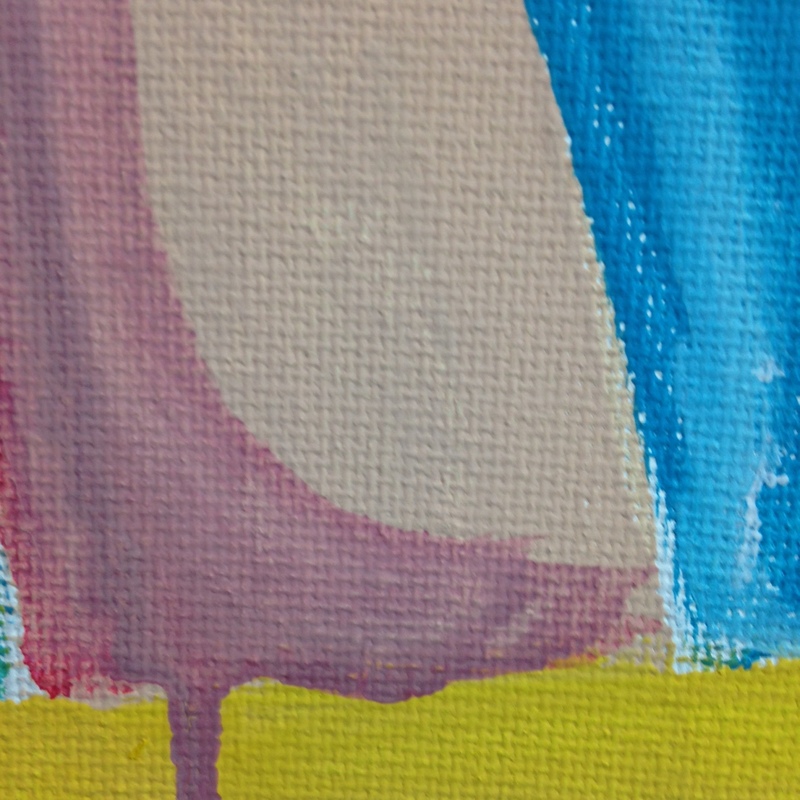 The subjects of the paintings don’t seem to be as significant as the work’s visual insight. 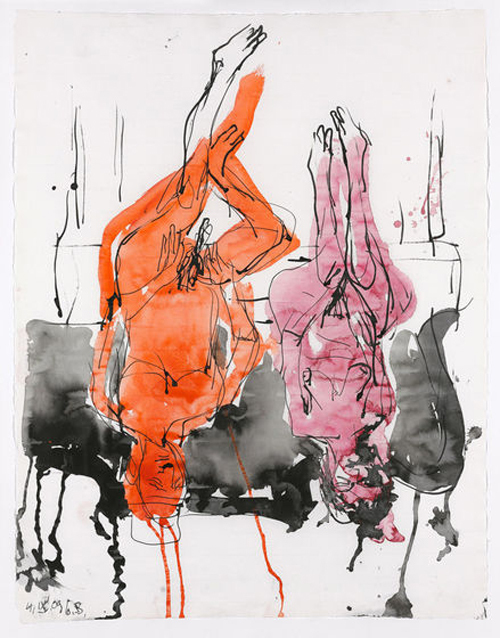 Throughout his career, Baselitz has varied his style, ranging from layering substances to his style, since the 1990s, which focuses more on lucidity and smooth changes. I hope you enjoy my piece today and I will see you tomorrow on Day 245.